This case study examines the promo giveaway weekend from the Chinese car manufacturer GAC Trumpchi. On the second of August GAC Trumpchi sponsored the International lovers tandem cycling race weekend in Zhuhai, China. The second of August is significant as it is known as the Qixi Festival or Valentines day to you and me. This weekend was full of many free promo giveaways that will be investigated further. 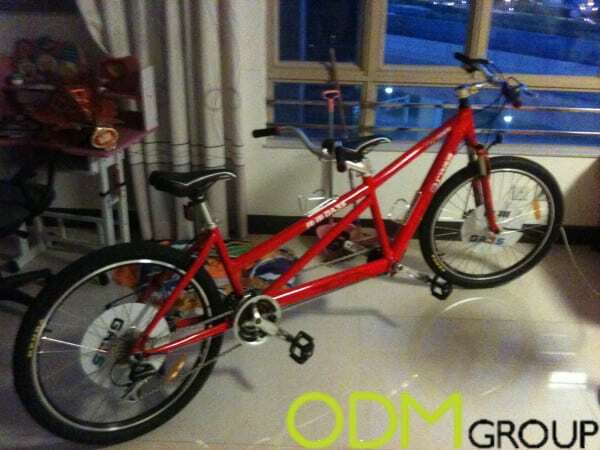 On the first of August, Those who took part in the lover’s tandem race had to register. Once registered they were given a drawstring bag. In this drawstring bag, it contained all the clothing and equipment for the tandem race. From the pictures below, it has been branded with the Trumpchi logo. The clothing in this promo giveaway weekend were a high quality and of a professional standard. The clothes were made of a material that easily wicks away sweat. 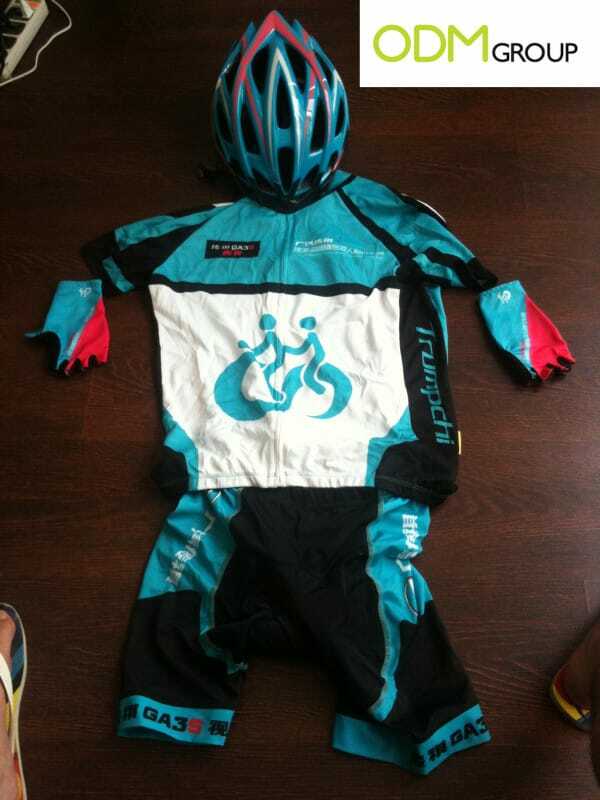 The shorts are padded well and prevented saddle soreness.The Bike helmet was sturdy and was CE certified to the EN 1078 standard. These promo giveaway items as a result are highly durable and can be re-used. This means that the user is likely to store these products. On the second of August. After the tough 29.9km tandem race. 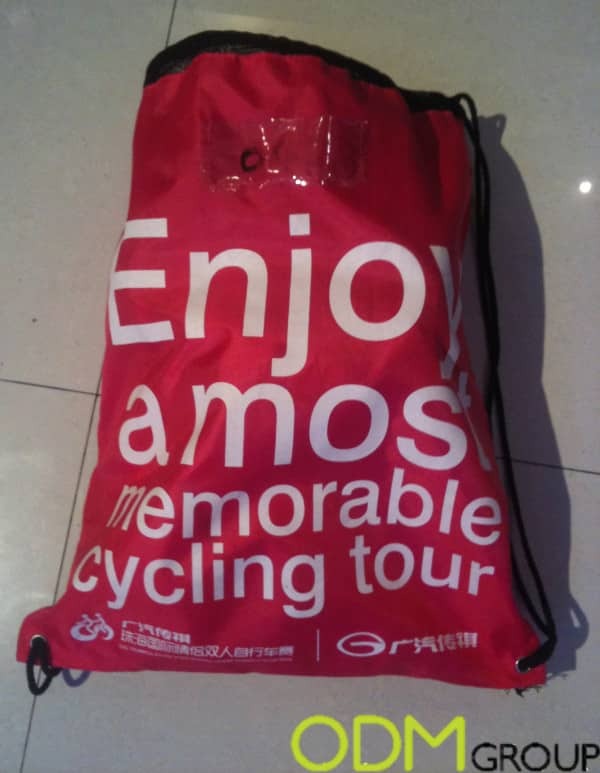 Competitors were given a gift bag. It contained various promotional goodies including marketing leaflets about various Trumpchi car models, a hat, silicon wristband, medal and wireless mouse. 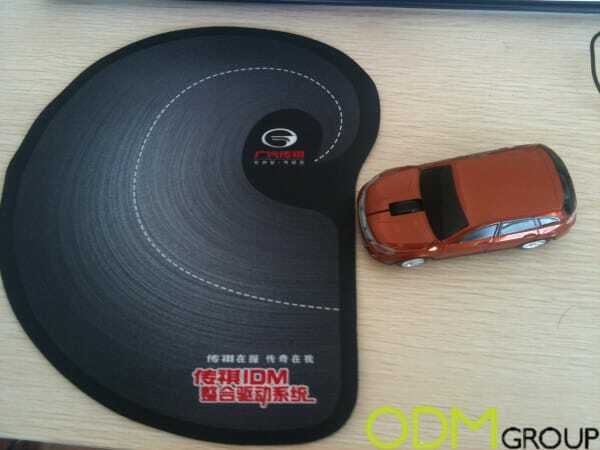 The wireless mouse and mat is an interesting gift. The mouse mat is within the shape of the Trumpchi logo. 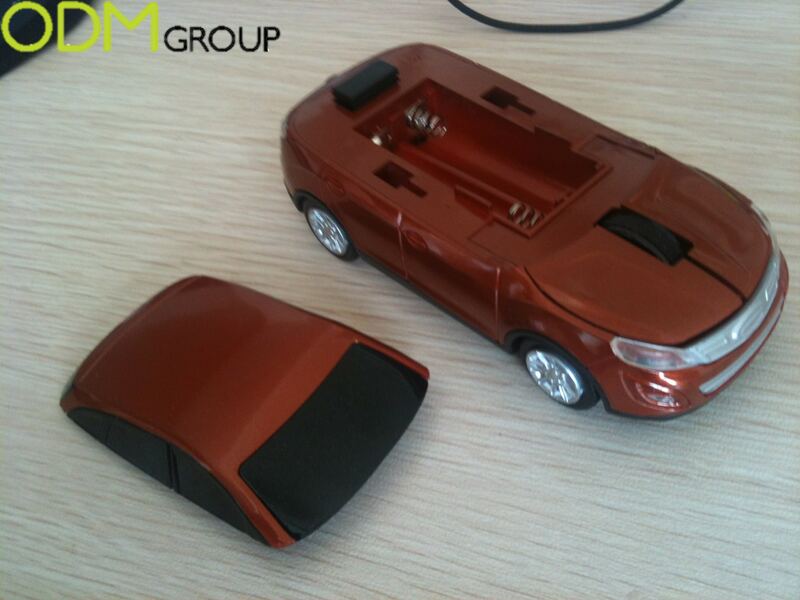 The wireless mouse is shaped as the GS5, one of Trumpchis car models . Through use of the promo giveaway item it raises product awareness of Trumpchi car models to the competitors. This is highly relevant as it raises product awareness to international competitors who may not be aware of these models. For completion of the race. Competitors were also give this uniquely designed medal. The medal is a broken heart. Of which can only be whole again when it is reunited with the complimentary medal of your partner. This medal is an ingenious valentines day product. 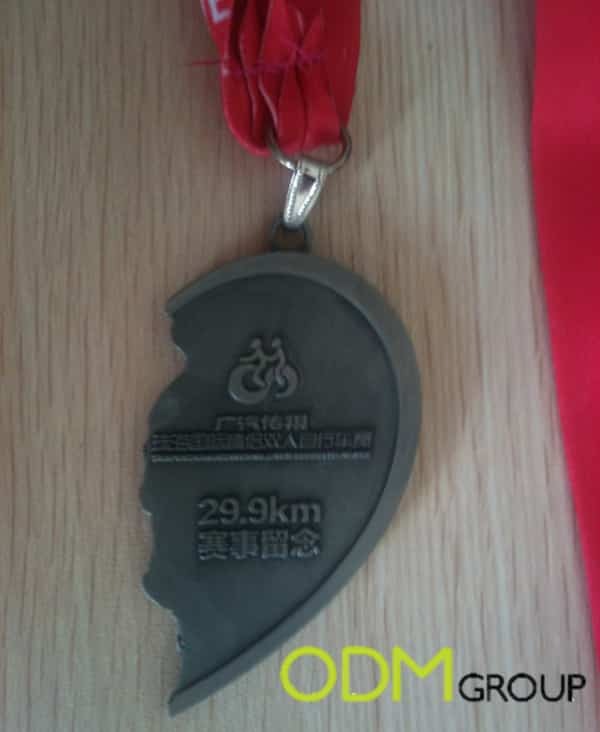 It is also very likely to be stored as a reminder and achievement of finishing 29.9km race. After the race. Competitors were also offered the opportunity to take their tandem bike home. 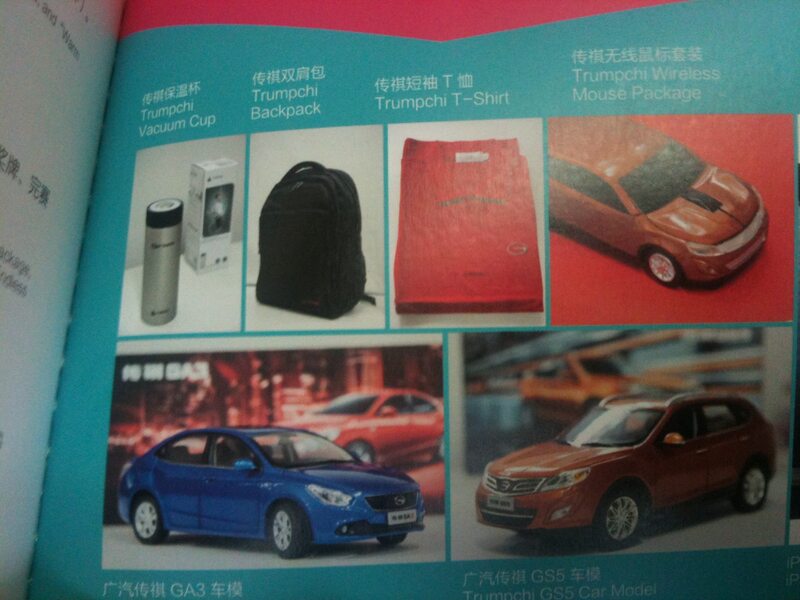 Other promo gifts offered via a random prize draw included trophies, vacuum cups, backpack, polo shirt and various Trumpchi car models. This giveaway weekend has built goodwill from all the competitors. Being given all these promotional gifts and free entry to other events including theme park, a circus, two overnight stays in Hotels. Has delighted all these competitors. Coupled with the fact that these competitors are likely to store these promotional gifts for the long-term. 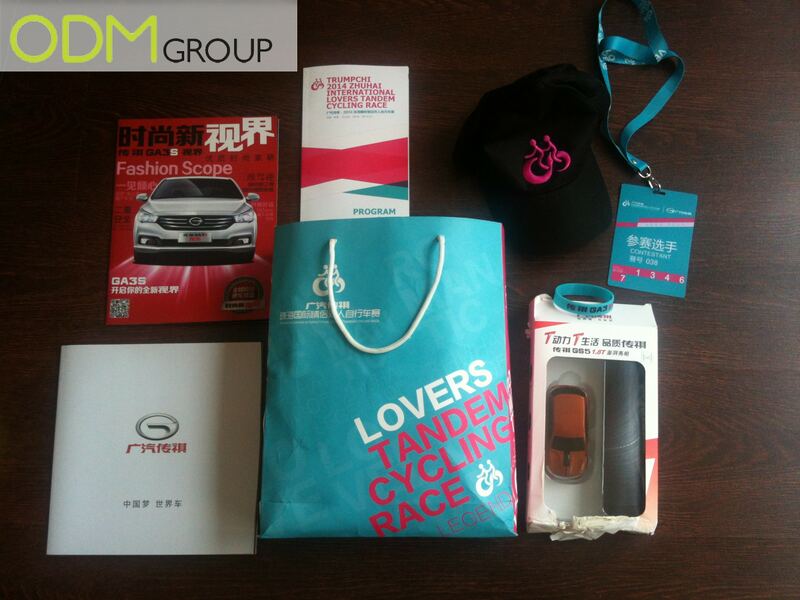 Trumpchi has effectively been able to gain brand awareness through sponsoring the weekend. The enjoyment that this weekend has given competitors is likely to make these competitors look more favorably on the Trumpchi brand. As a result it is likely that this giveaway will influence these competitors’ purchasing decisions. Further benefits include the brand engagement as the competitors have spread their experiences via word of mouth and social media platforms . Also Trumpchi has been able to raise awareness of their brand to international competitors in the race. Who may consider these vehicles, once the products reach their country. Trumpchi has been able to effectively develop their international market as a result. Looking for some sporting promo items for your campaign? take a look here.